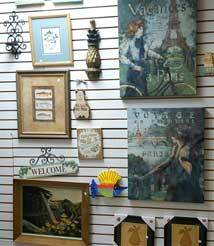 Also visit our booth in Trailer Park Collectibles at 702 Centre Street in downtown Fernandina Beach. Open daily. 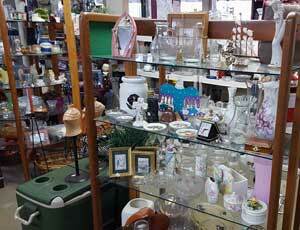 Our Thrift Store offers a large selection of items of all kinds. 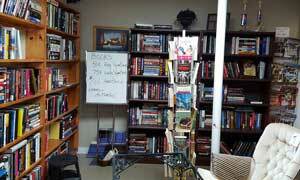 We have one of the largest selections of used books on Amelia Island, and they are in alphabetical order by author! 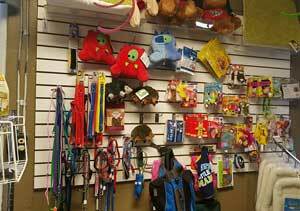 Stop by often to see our rotating stock of bargains. 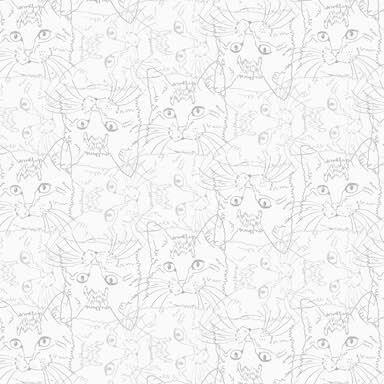 Be sure to try our Morning Mews Breakfast Blend — a smooth light-bodied coffee freshly roasted and packaged in Florida for Cats Angels. Happy customers are important to us! If you have a large piece of furniture that you would like to donate, please leave a message at 321-2267 and we'll call to arrange pick up. 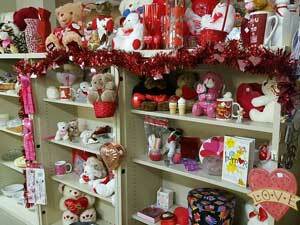 Visit our display of special items at Trailer Park Collectibles, 702 Centre Street which is open daily. 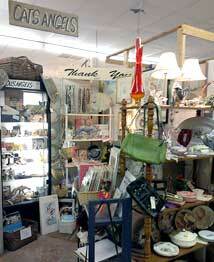 Volunteer Julie Patton who runs estate sales chooses unique and special pieces to offer at this Cats Angels shop. 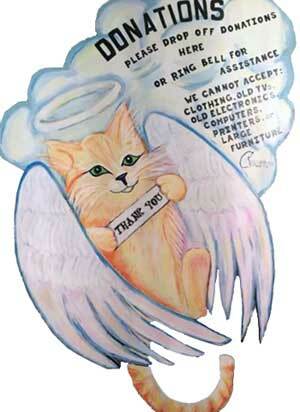 The next time you are taking a stroll on Centre Street, please stop in and visit Cats Angels. We depend on your donations. Thrift Store sales help us with our property cost, medical fees, and daily needs of the cats. Please help by donating and shopping with us. Like to work in retail? We always welcome volunteers in the Thrift Store. Our shifts are from 11AM–2PM and 2PM–5PM. 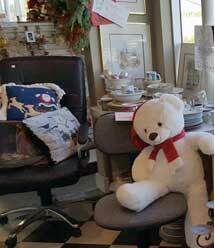 Please stop in and sign up, or call 321-2267 and leave a message for our Thrift Store Manager.